Why Did U.S. Hire These 4 Guys? 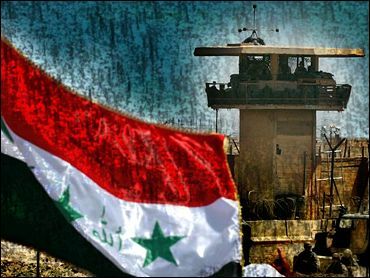 Four former state prison officials hired by the Justice Department to help set up Iraq's prison system have backgrounds that should have precluded them from the private contracting jobs, a senator said Wednesday. Each had lawsuits or other problems linked to their tenures in state government, Sen. Charles Schumer said. He called for the Justice Department's inspector general to investigate the "slipshod" hiring process that allowed them to work as private contractors. "These are not the four people you would want to run any prison system," said Schumer, D-N.Y.
Three of them visited various Iraqi prisons over a period of about four months in 2003 and worked to get them operating. A fourth was given a supervisory position in the newly reconstituted prison system. The four officials were part of a 25-member team. One of the four, Terry Stewart, was sued by the Justice Department in 1997, when he ran Arizona's Corrections Department. The lawsuit charged that at least 14 female inmates were repeatedly raped, sexually assaulted and watched by corrections workers as they dressed, showered and used the bathroom. At the time, officials also charged prison authorities had denied investigators access to staff and prisoners to examine abuse complaints. After the state agreed to provide more stringent oversight of employees handling female inmates, the suit was dropped. Neither Stewart nor any other state officials admitted any wrongdoing. Stewart was out of the country Wednesday and could not be reached. A Justice Department spokesman declined comment. Schumer also cited John Armstrong, who left as Corrections Department chief in Connecticut last year after the agency was sued by female guards who alleged they were sexually harassed. Armstrong denied his departure had anything to do with the lawsuit. O.L. "Lane" McCotter, who resigned under fire as head of the Utah Corrections Department after a mentally ill inmate died after spending 16 hours strapped to a restraining chair. McCotter's predecessor, Gary DeLand, who headed the agency in the late 1980s, when civil rights lawyers charged his department denied appropriate medical care to inmates. DeLand has denied the charge. A jury awarded nearly half a million dollars to an inmate incarcerated in 1989 when he suffered renal failure. The jury found DeLand and other officials violated the inmate's constitutional rights be delaying medical care.